Using the data from 2006 up to October 25, 2016, We developed a program that will count the number of times when the foreign is a net buyer or a net seller. The result was from approximately 2,490 trading days, the foreign is a net buyer 1,241 times and a net seller 1,249 times. What is more interesting is that in times when a foreign is a net buyer, the PSEi performs positive 787 times or 63.42% of the time. On the other hand, in times when a foreign is a net seller, the PSEi performs negative 706 times or 56.53% of the time. Perhaps you were thinking that these percentages are not really high. Well, it is high in the world of stock market. Read along! In this tsupitero blog, we will define and discuss how to use Foreign Buying and Selling can help you in having the right choices in choosing your beloved stock. As of 2015, according to Stock Market Investor Profile provided by Philippine Stocks Exchange, we have reached 712,549 total number of stock market accounts. This number is the sum of local and foreign accounts. Foreign buying and selling happen when a foreign account simply buys or sells a particular stock. Yep! Just that, very simple. In addition to that, foreigners are perceived by the market participants as being the “smart money”, therefore, their movements are closely watched by veteran traders. 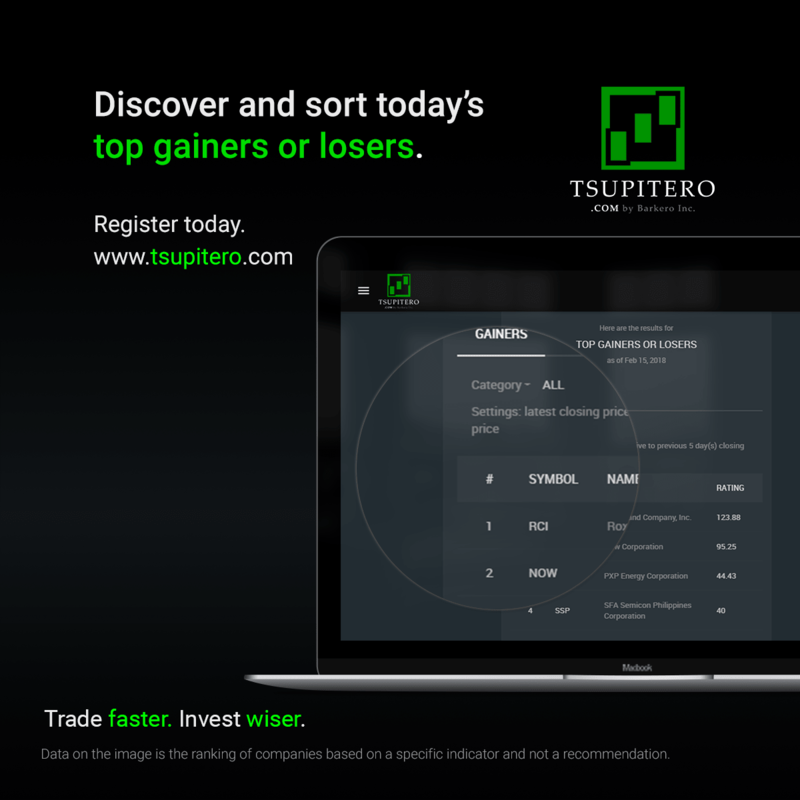 The foreign buying and selling feature of tsupitero.com can help you in finding which stock is heavily bought or sold by the foreign investors for a given period of time starting from latest trading day until the desired days chosen by the user. For example, on a given table below, there are two columns which correspond to (1) Stock Symbol and (2) Amount of Net Foreign Buy or Sell. Let’s say that the data in this table is collected on the latest trading day and assuming that the latest trading day is October 10, 2016. Table 1. Shows the amount of Net foreign buy or sell in particular stock on Oct 10, 2016. The data found on this table is not real and used for example purposes only. Based on table 1, we can clearly see that company CCC is the favorite stock of foreign investor on that particular day. However, the example above has only four stocks, paano kung napakadami ng kumpanya ang pagpipilian?! And this is the problem that most investor faces, how to know which one of the 300+ listed company is heavily bought by foreign investors? With Net Foreign Buy or Sell Tsupitero feature, you will see which stock is heavily bought by foreign investors in ascending order. Just like the table below. Table 2. Shows the amount of Net foreign buy or sell in ascending order. Unfortunately, the same with other indicators, Foreign Buying and Selling alone cannot be used in choosing your beloved stock. A better decision is derived from a combination of different indicators. Looking for a list of foreign buy or sell in a sorted order is very time-consuming. 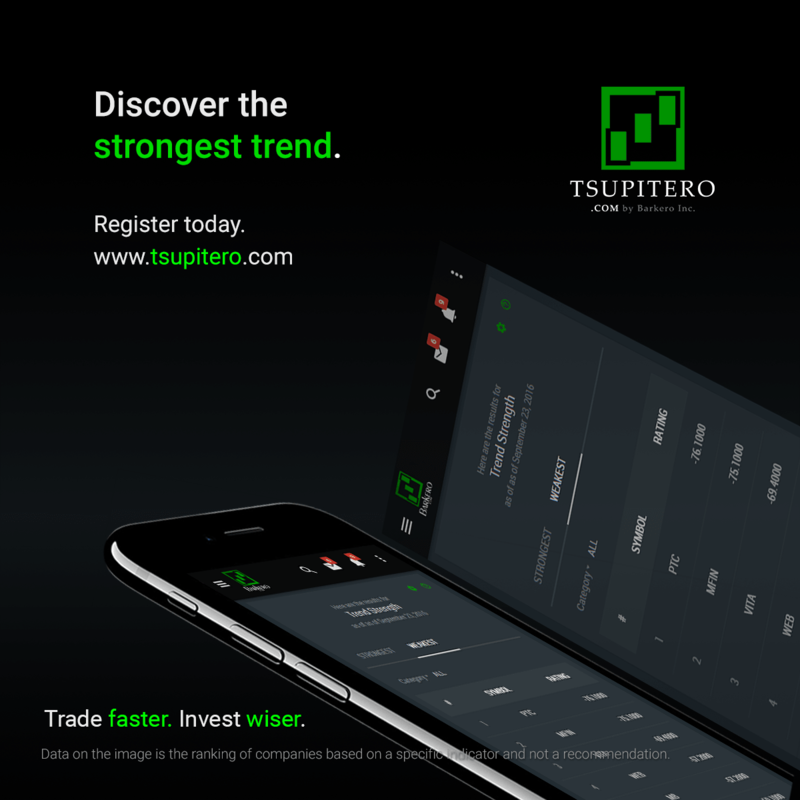 Great thing is that we have Tsupitero.com where you can see which stock in 300+ listed company is heavily bought by foreign investors in ascending order. The example above shows the Net Foreign Buying or Selling on the latest trading day only. But if you want to level up your trading game, your follow up question might sound like, Paano kung ang gusto kong makita ay ang pinaka-binili ng foreign investors for the past five days? Or in other words, You want to see which stock is being accumulated most by foreign investors for the past X number of days? How can you see that? Great thing is that this feature can be done by simply changing your settings in Foreign Buying or Selling Indicator. Below .gif image will show you how to change this setting. Do you have any suggestions in your mind? Comment below! There are many benefits of a premium user, be sure to read other blogs to learn more. Register Today!